With the recent boom of sword and sorcery titles in the past few years, it seems a new release related to the subject hits the stands each week. There have certainly been many good ones; some outside the box, others more traditional but manage to put a refreshing spin on it. Unfortunately, Scales and Scoundrels is neither of those. Stop me if you’ve heard this before. A wayward soul, a girl named Luvander, scallywags around like the urchin she is (though from the first few pages we’re fairly well informed that she’s “destined” for something greater, *sigh*). Like the good and proper rogue she is she looks out for herself but is willing to perform good deeds such as giving up her last remaining copper to help those in more dire need. While on the run after a little trouble, she helps a prince and his coterie traveling through the forest to defeat a small horde of ruffians. The encounter ends with the inevitable team-up. Lastly, we’re introduced to the garishly overdressed villain (at least we’re led to believe he is) who is looking for Luvander. Yawn, yawn, yawn. Look, as I’ve said many times before, I have no issue with the tried and true tropes of comics, fantasy, sci-fi or otherwise. Just give me something interesting, a sense of immediacy, fast-developed, snappy dialogue, and interesting characters, anything that makes it stand apart. This is where Scales and Scoundrels completely fails. The plot and characters are the definition of cookie-cutter. There was not a single moment that intrigued me or led me to believe that greater heights were coming. It’s a flat-liner from the get-go. The art is cutesy and cartoony and fits the lightweightness of the book but it’s generic and often quite clumsy in the action sequences. Sadly, there’s just nothing here that warrants much praise. 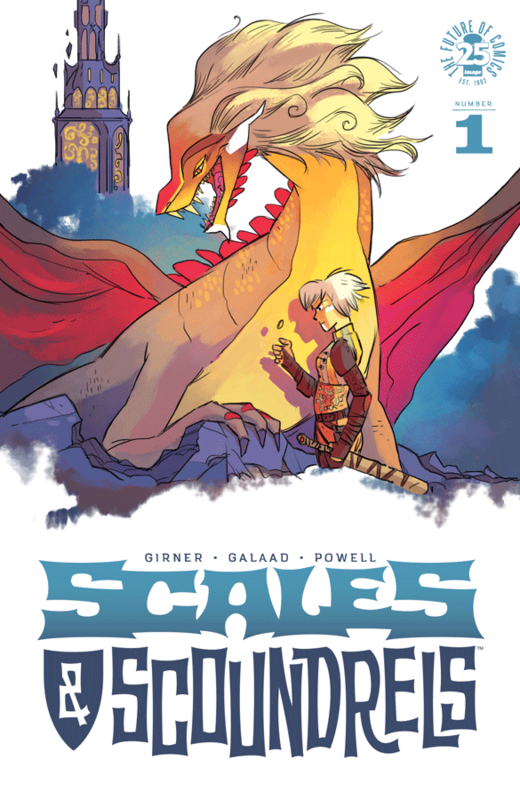 Maybe Scales and Scoundrels will open up in later issues and step beyond its meager beginnings. 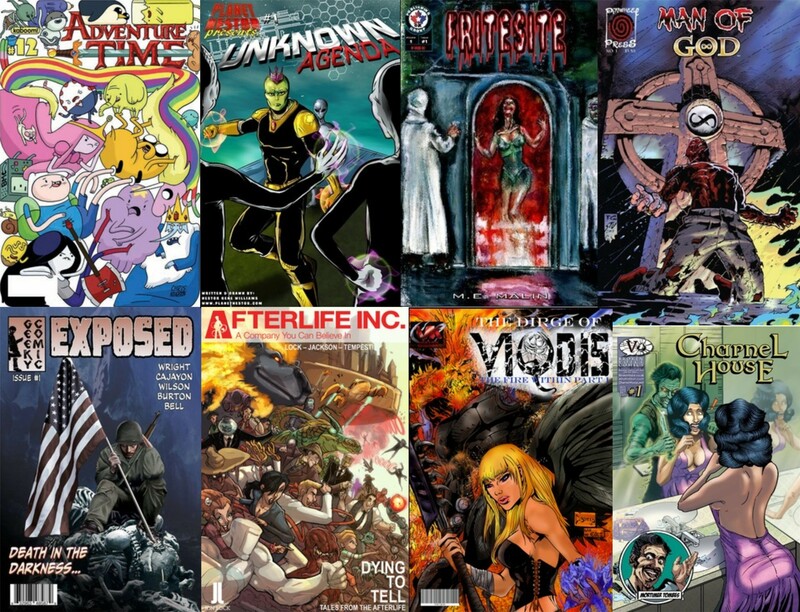 But, otherwise, there’s simply too many other like-minded, quality comics to pay much attention here. Summary: It’s hard to make an honest living in a land brimming with magic and mystery, and treasure hunter Luvander is tired of being a penniless adventurer. Ever in search of gold and glory, she sets off for a fabled dungeon, “the Dragon’s Maw,” an ancient labyrinth, at the bottom of which slumbers endless wealth…or certain doom! But what starts out as a road to riches becomes the first step on an epic journey to destiny, for Luvander holds a secret in her heart that will shatter the chains of fate and bring light to a world encroached upon by an ancient darkness. 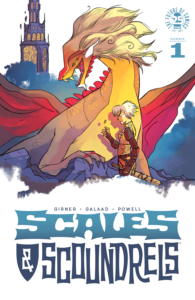 Tags: Galaad, Honest living in a land filled with magic and mystery!, Image Comics, Indies, Luvander's tired of the usual, Road to riches adventures, Scales and Scoundrels #1, Sebastian Grimer, Sword and Sorcery goodness, The usual might be a good thing though!